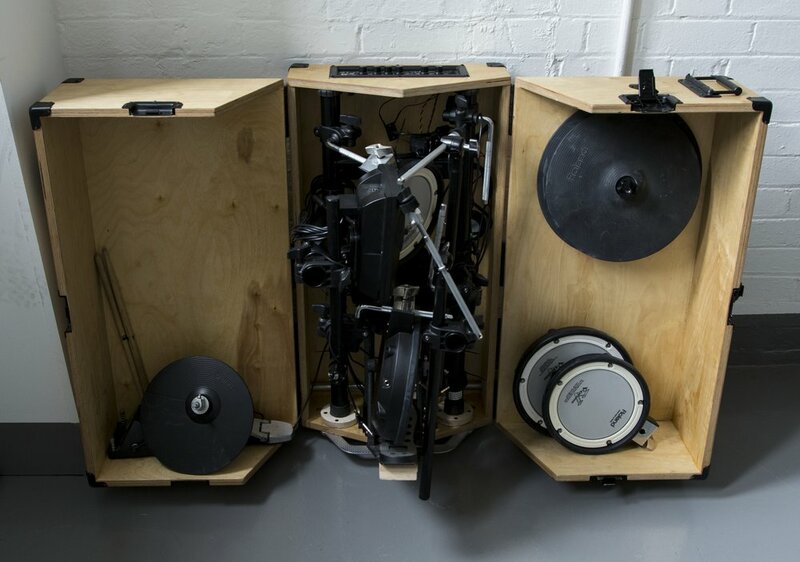 A portable converted fold down electric drum kit. The drums can be assembled and ready to play in a matter of minutes. Designed as a way to save space, whilst allowing quick access and transportation of a drum kit. It features built in amp and speakers - all powered from a single kettle cord. 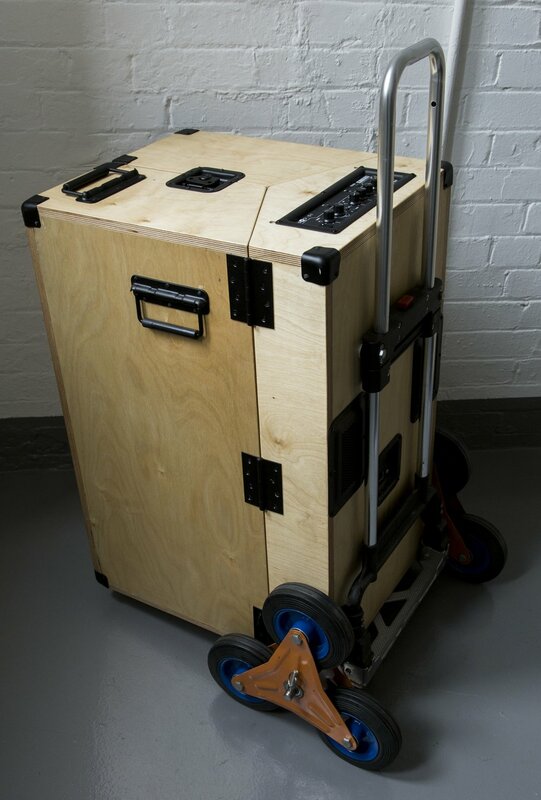 Constructed from birch plywood, flight case fixtures and fittings, and a retractable steel trolley arm and axle, and removable stairclimber wheels, the case is designed to be compact and protective of its contents.